Special tools for special needs. Spark testers, flwyheel pullers, lifting eyes, and more, help you get the job done easier and more efficiently. We have many other special tools available. Just give us a call if you dont see what you're needing. 8 terminal spark gap tester with adjustable spark gap capability. Check the strength of ignition spark at different gap widths to make sure fire to the plugs is adequate. Can be separated into two sections. 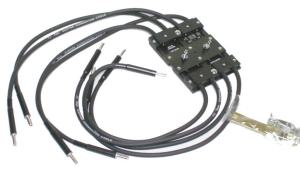 4 terminal spark gap tester with adjustable spark gap capability. Check the strength of ignition spark at different gap widths to make sure fire to the plugs is adequate. 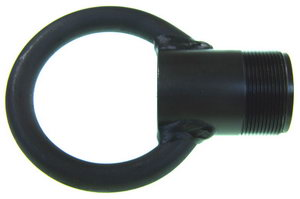 Designed specially for Mercury and Mariner outboard flywheels, this puller is very easy to use. Snug it good and tight and a solid rap or two with a 2 lb sledge pops the flywheel loose in an instant. This tool is especially handy for holding your flywheel while lossening the flywheel nut. Never use an air power impact wrench to loosen your flywheel nut as damage to the flywheel magnets may occur. Easily remove the spanner nut that holds the bearing carriage in your Mercury/Mariner outboard motor lower unit. This is a must have when replacing prop shaft seals or completely rebuilding a lower unit. 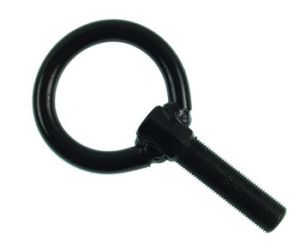 This flywheel puller will make removing your Johnson or Evinrude a snap. 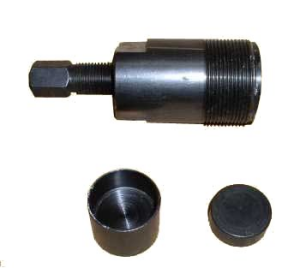 This puller will also work on Chrysler and Force outboard motors by obtaining correct size bolts. Add this lifting eye to Item# P781 puller set and you have the ability to remove your OMC outboard from your boat's transom with an average engine hoist. This lifting eye fits most Mercury and Mariner outboards for removing motor from transom of your boat. 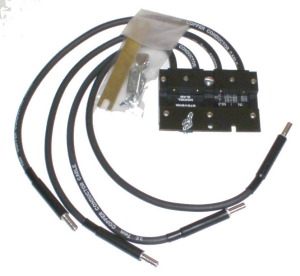 Great for use when motor needs to removed from transom while replacing steering cables.